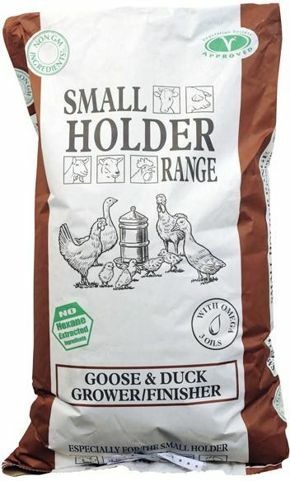 Goose & Duck Grower/Finisher Pellets may be fed ad lib and encourages a slower, more natural growth rate to finish. 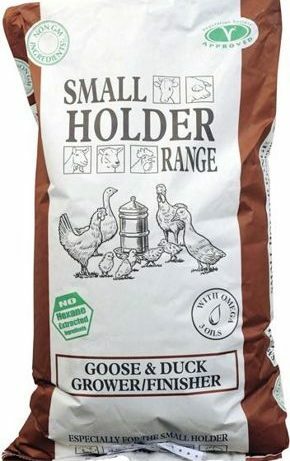 Feed ad lib from 3-5 weeks old (about 170-200g per duck per day depending on its size or 125-150g for geese together with plenty of grass). Introduce a new feed gradually over 7 to 10 days to help a smooth change over. This feed should be fed with ad lib fresh water.